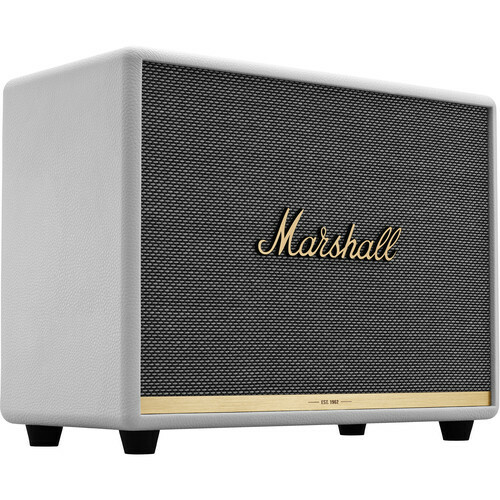 Enjoy wireless Bluetooth audio with the white Marshall Woburn II Bluetooth Speaker System. It outputs up to 130W of total power using its two 5.25" woofers and two 0.75" tweeters. Bluetooth with aptX technology allows you to pair and wirelessly stream music from your compatible devices, such as smartphones or tablets. The Woburn II also features an 1/8" and a stereo RCA input for wired devices. Bluetooth 5.0 with aptX is designed to provide enhanced wireless sound at ranges up to 30'. 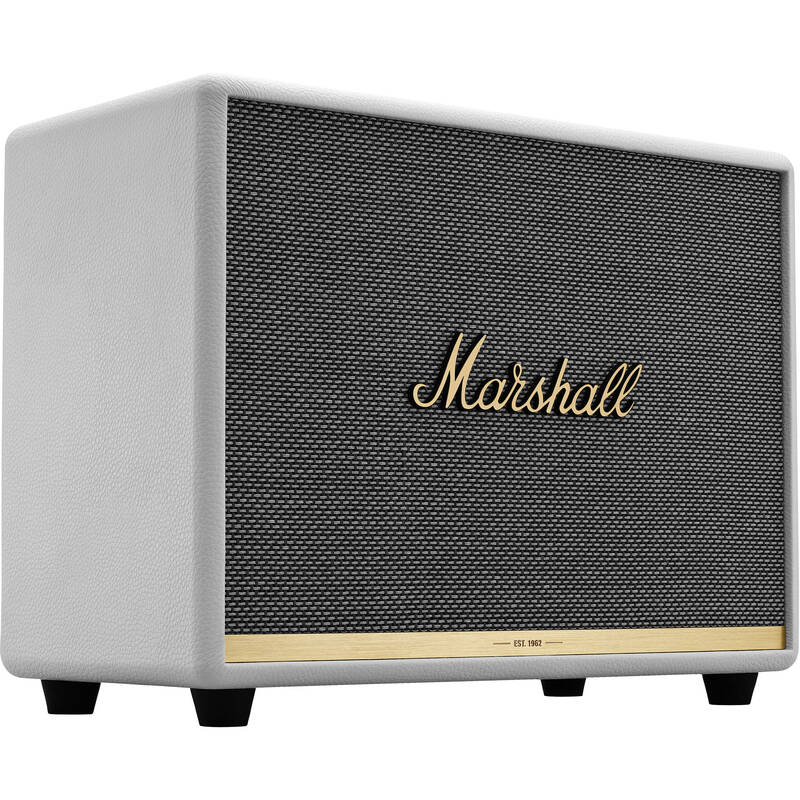 Fine-tune your music to meet your preferences using the Marshall Bluetooth app or the top-mounted knobs on the speaker. The Woburn II is engineered to output clean and precise audio thanks to the Class-D amplifiers dedicated to each driver. It is also designed to hit high trebles cleanly, handle low bass with ease, and produce a clear, lifelike midrange. This feature allows you to easily connect and switch between two Bluetooth source devices. The top-panel controls include bass, treble, and volume control knobs, a power switch, a play/pause button, and a source button. Box Dimensions (LxWxH) 19.0 x 16.0 x 11.9"